THRISSUR: Updating the media here about the progress on the National Medical Commission Bill, the Union health Minister, Shri JP Nadda informed that the same shall be tabled in the coming session of the parliament. The minister also stated that the bill has already been circulated for discussion among the group of ministers (GoM). The reviews by the GoM are in the final stages, said the minister reports TOI. 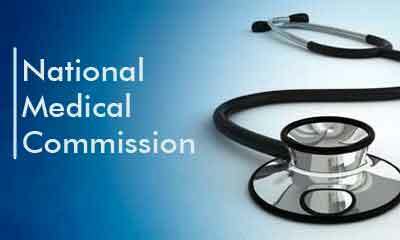 Medical Dialogues team had earlier reported that strong objections were raised from various sections of the Medical Community, which had opposed the limited representation of the medical fraternity in the impending commission. Clarifying on this the minister stated that the NMC, which will steer medical education in the country in future, will not solely be a nominated body. “It will also have elected members,” he said. The minister also added that the many objections had been raised by the Indian Medical Association, whose issues have now been addressed and its office bearers are now taken on board. Regarding objections raised by other groups, he stated that many groups are opposing the bill due to lack of understanding. “They have not seen the bill. Once they know the contents, they will withdraw the objections,” he told TOI. mR NADDA SIR IS IN THIS CORRECT WHO ENTERED THROGU MANAGEMENT QUOTA THEY SHOULD WRITE THIS EXAM THEN QUALITY OF MBBS WILL COME OUT .PVT COLLGES ONLY OPPOSING THIS. AND FOR THIS YEAR MCI STOPPED MBBS SEATS PL ALLOW BY UNDERTAKINGS.THIS OUR REQUEST TO MINISTER. Recklessness on d part of doctors has caused it. Blame ourselves. Now it is too late 2 do anything. Another important point is that standard of medical teaching has become too low. It also has bred too much of ego both in students as well as teachers. It\’s too bad that erodes our practice. It must be made patient friendly than book friendly bookish preaching. It only helps the Western Book industry since majority of print material still generates in West. West shall never support Indian material as it will harm their business. i sincerely believe that it would be a good move for such a council like the GMC .But the fact is it should have equal representation fron both bureaucrats and doctors and with equal powers with less political powers.i know many people who oppose the bill have strong political connections and influence the MCI and want to oppose this kind of good move. yes i feel we should have open debate for this and why not there are doctors as rajya sabha MP\’s and let them debate in the parliament and come to a conclusion. i strong;y believe that doctors should be there in this commision alas! but not doctors like ketan desai!!!! All this makes medical cost to go up. That will also be objected to. Education anyway has become so expensive. Dissatisfaction of Drs will not help the patients. Govt will ruin this field with over regulation. Mr. Nadda is right. Most people who are criticizing the bill haven\’t read it.